(*Illicit) photo of the vote taking place. Carried in all three houses!!! This post covers the debate in chunks. You’ll need to scroll down and up a bit! 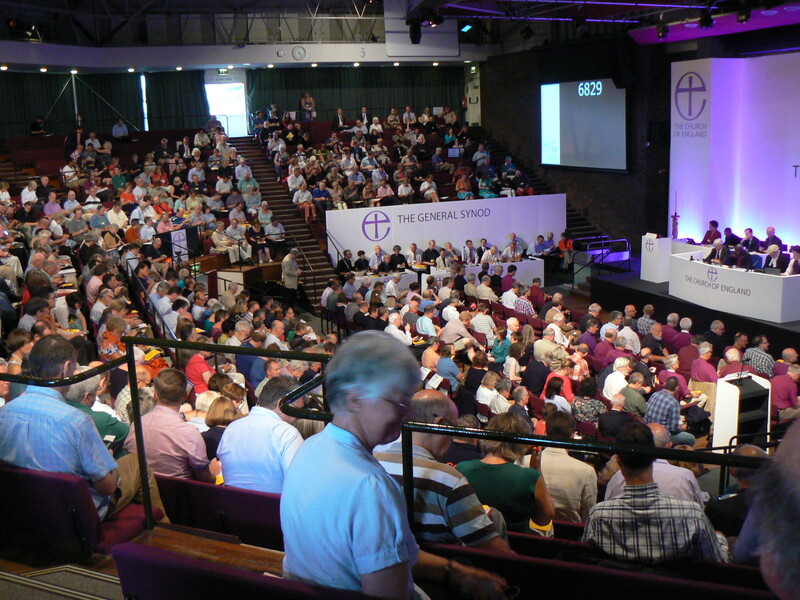 The Twitter #synod feed is very active and will give you the shortened story, plus some jokes. 4.15 Huge change of atmosphere. After the alternation of love-in and grumpy acceptance that has been the course of today, Archbishop Justin’s contribution came as a fresh wave on a hot day. The House of Bishops will stick to the Declaration. We have to work hard from now on. We want to be a church where all can participate. Then John Spence (self-labelled a ‘new boy’: he makes them laugh and they eat out of his hands). He told the story of how he lost his sight as a man in the prime of life He expected to be cast into the wasteland, and was told he could not be promoted because he could not manage people. But he went on to become MD of Lloyds Bank. His faith in others to work with him was repaid. As he adapted, other people adapted with him. He appealed to those still thinking about which button to press on the voting machine. Can you place your trust when there is not yet evidence? (Reflecting something Jim Wallis had said). As you trust, you will create a whole new range of possibilities. The stronger the vote, the greater confidence the outside world will have in us; but more than that, the church will be a better witness and Christ will be at the centre. A standing ovation followed – very rare indeed at Synod, for anyone or anything.The Bishop of Rochester sums up – and a vote is just round the corner! 4.00 It’s been getting pretty scratchy . Time for some self-discipline and to allow Sentamu to call a vote. Suddenly it gets better! The Bishop of Chichester gets 5 minutes. His diocese has been known as a bastion of male ministry, and he in bringing a change of culture there, though being a traditionalist Catholic himself. He’ll be followed by Archbishop Justin. And they will be followed by Canon John Spence, who looks after Archbishops Council Finances and has become a Synod favourite very quickly. He is quick-witted, crystal clear (and he is blind). But this is what you’ve missed. There’s been a bit of a running joke on Twitter about turnip curry. Apparently when the Steering Committee met at Bishopthorpe, they were given turnip cutty for supper. Not universally appreciated. Another running gag (started during Questions) was that proper academic theologians only need to use Google, not proper libraries. As the afternoon wears on, Sentamu has again reminded people not to stand to speak unnecessarily. The number is down to about ten standing now, but new people keep jumping up. Sally Muggeridge brought a message of encouragement from Desmond Tutu! At that point I wanted to get the clapometer out to measure support. There was very enthusiastic clapping for Susie – but from a very small group: indicating not as strong support as Reform and others might hope for a No vote? Prof Richard Burridge pointed out that scholarship does not support the ideas on headship and complementarianism that some evangelicals used. He’d checked it on Google. His serious point was that we must avoid labelling people, and work with the different interpretations – ‘multiple meanings’. 3.25 A slow-ish start to debate. No doubt some had too much lunch: others clearly feel we should move to a vote as soon as possible. But even though we have now heard from most of the key players, there are plenty of the 82 would-be speakers still to come…. Philip Rice, a London lay member, recalled that last time felt like a funeral. He voted no; but has seen a huge change in his local area, and will now be voting Yes. But he would like to see a conservative evangelical Bishop in the London area. Janet Appleby, who put in a significant amendment last time, put in an appeal to abstain to those who can’t support the package. Chik Kaw Tan had three reasons to vote against (coming from a conservative evangelical perspective). Archbishop Sentamu had to tick us off – there had been groans and mutterings of ‘no!’ at Sam’s speech. He told us we are not the House of Commons, but God’s church..
Then we went into fantasy and parable and with a story about God and an otter from a former Diocesan Secretary, David Kemp. This entranced some (one tweet said Justin was crying) and irritated others. That was followed by Sarah Finch giving an exposition of ‘complementarianism’ theology and saying she must vote No. Gerry O’Brien was very negative about whether people in his world (conservative evangelicals) can trust their Bishops to take them seriously. He fears his people have sold their birthright for a mess of pottage. Jane Bisson held up a Bible to ask whether we still think it matters, and set out a conservative perspective – Jesus only chose men. 2.30 Back after lunch. 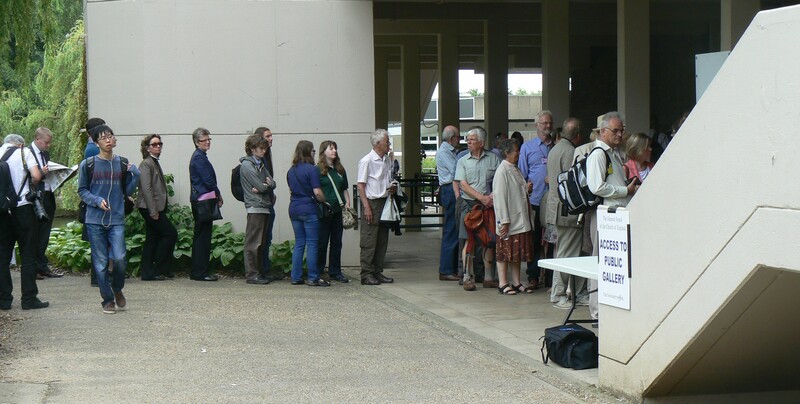 Huge queue to get into the public gallery. How long will the debate last after lunch? How can it be shortened? General feeling of huge appreciation from brave speakers earlier who spoke about changed minds (and votes). I ended up sharing a table with Christina Rees and David Houlding. Their friendship is apparent, and as Tim Hind said earlier, part of the reason for us getting to where we are today. So, on we go. More later. 1.15 We’ve broken for lunch with – very unusually some silence, a prayer, and Sentamu-led singing of Thuma Mina. This is very different to 2012. Amazingly, this blog is just hitting 100 readers by lunchtime! Is there something special happening today? Moving speech from Christina Rees, hoping some will abstain in the spirit of the current package. Followed by David Houlding, wanting to apologise for the way we have all conducted ourselves in this. Following the Porter Way (facilitated conversations over the last year) has made is see everything in a different way. Despite ecumenical complications(we are proceeding without Catholic consent) we must move on. Did not declare how he was going to vote. Bishop of Dorchester – it was painful last year; but I am glad we went through it. We have something better now. 30 years ago I was a ‘headship’ evangelical. I have changed my mind, Romans 16 a critical text. But those who differ from me must be honoured and included. Rosie Harper (a media favourite) pointed us to the outside world and reminded us of the plight of women around the world. If this is passed we can speak about women’s subjugation without hypocrisy. Another Guildford nay-sayer last time, Keith Malcouronne, will vote Yes today. Bishop of Gloucester, very strong WATCH supporter, pays tributes to 20 years of fruitful ministry by women priests. And today is about the whole church flourishing, and getting past the dis-ablement of recent years’ arguments. Geese are a very common sight on the York campus. But which way will they vote? And, just for fun, a secret army of voters is being bussed in to ensure the right result..
1230 Opening speeches have given clear signals that this will go through. Paula Gooder gave a cheerful theological exposition (within the 5 minutes limit) of Paul’s understanding of reconciliation. There was some very attentive silence when the Chair of the House of Laity, Philip Giddings – who was widely criticised (not necessarily accurately) for leading the No votes in that House last time – stood to speak. You could almost hear the sigh of relief when he announced he would be voting in favour. The Bishop of Burnley expressed hope that this would all work very well, though he in conscience would have to vote against. Jane Patterson, describing herself as a ‘complementarian’ (i.e. ‘headship evangelical’ in my shorthand), spoke of her experiences on the Crown Nominations Commission, and how hard it has been to appoint Bishops form that stable. Reflecting the views of a number of Sheffield churches, she would have to vote no. Bishop of Blackburn, Julian Henderson (previously a No voter) will vote Yes, and spoke of the first-ever ordination of women as priests by the diocesan Bishop there. But we will have to work on relationships, appointments, etc from now on. Principal of Trinity College Bristol, Emma Ineson spoke of the way ordinands need to learn to live together as they train. And raised a laugh by running gag Other colleges are available. David Banting expressed gratitude for atmosphere in his diocese (Chelmsford); went on to his Reform view that this package is a mistake, citing the 39 Articles and modern social trends to remove all references to differences between men and women. Received in silence, muted applause. Prudence Dailey, one of those who voted to ‘stop the bus’ last time, will abstain now. But wants no more of the criticism and disapprobation of those who cannot support the package this time. Adrian Vincent kept us all guessing as he outlined the tensions he’s felt representing both conservative evangelicals and traditionalist catholics. But he will vote in favour, despite feeling he is betraying people back home. 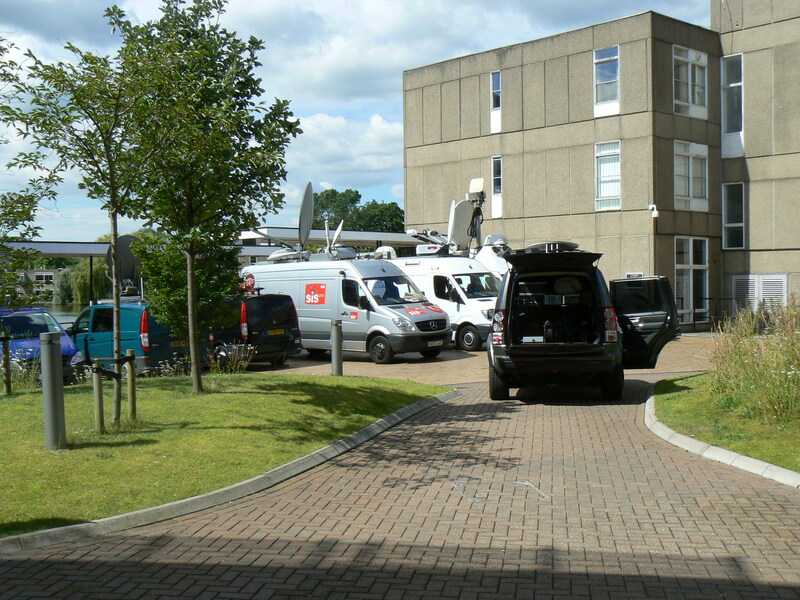 I counted 8 TV/satellite trucks parked up outside the hall. The little stacks that hold the voting machines had been raided and were practically empty. The hall was as full as you’ve ever seen it. Many of our women clergy are in bright colours. And there is a queue to get into the public gallery – it’s full. Yes, it’s time to begin. Archbishops Sentamu is in the chair. He has gently pointed out that 82people have indicated a wish to speak. If we are ever to get to discuss Magna Carta later today (the next business), he hopes some will not stand if the gist of their speech has already been given by someone else. In fact, he quoted the Standing Order about ‘tedious repetition’. Introducing the main debate, the Bishop of Rochester pointed out that there is very little that is new today. The bulk of ‘the package’ as we are calling it, is what dioceses overwhelmingly voted in favour of. The only new thing is the Note from the Archbishops expressing their intention to find a way to appoint a ‘headship evangelical’ to the House of Bishops. 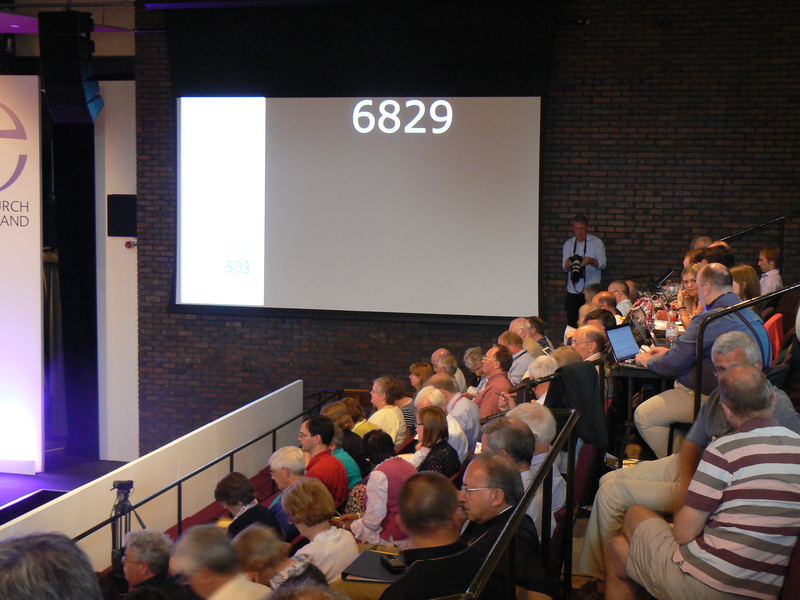 This entry was posted in 2014: July - York, General Synod and tagged House of Bishops, women Bishops. Bookmark the permalink. You can have two integrities even in pop song titles, it seems!